Flip through the channels of Mary Houlihan's imagination and you'll find morning show hosts that might have murdered someone, a true crime thriller about a missing American Girl doll, and of course musical improv! 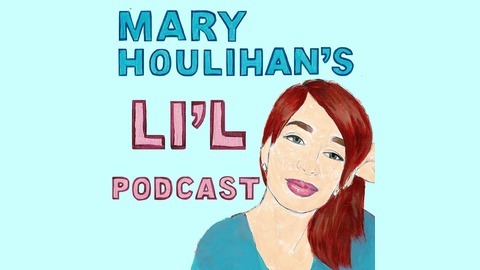 All that and more on Mary Houlihan's Li'l Podcast! Produced by the Forever Dog Podcast Network. In the third installment of the Big Podcast Audition, Mary and Sefa call one lucky guest about their cosmic idea for a podcast! This week’s guest, James, reads horoscopes for Mary and Sefa along with today’s hottest celebrities! Whoopi! Timothée! Serena! Vin! And more! PLEASE SUBSCRIBE/RATE US on Apple Podcasts, Google Play, Stitcher, or wherever you get your podcasts. 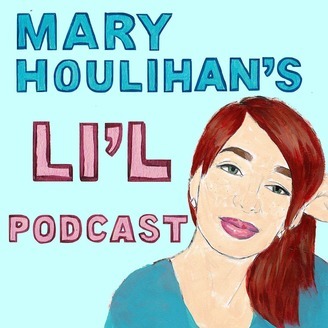 MARY HOULIHAN’S LI’L PODCAST is a Forever Dog Podcast.